The transition to adulthood is much more complicated than having unlimited frozen pizza and no curfew! It’s a journey that can be exciting and scary, all at the same time. Along the way, there will be challenges you’ll need to overcome and many decisions you’ll have to make about who you want to be and how you want to live your life. One of those decisions will be how you choose to live out your faith. What role will God play in your future? By challenging yourself to live a more dynamic, faith-filled life, you have the power to inspire others to do the same. What Now? 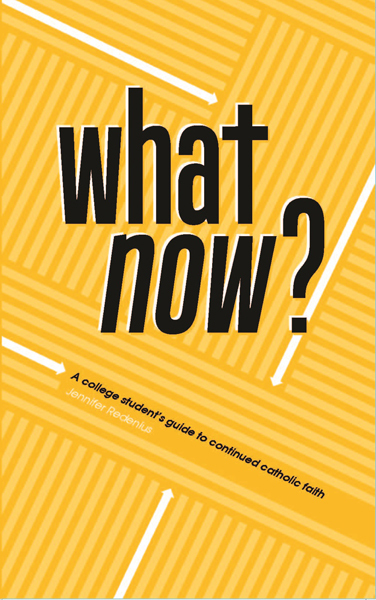 A College Student’s Guide to Continued Catholic Faith gives college freshmen the tools they need to grow and thrive in their faith after they leave home.